Among the most overlooked fixtures in any home are windows, which are actually among the most important “shields” of any type of building. Your windows deserve your care and attention. They don’t take an enormous amount of time to maintain, but if you keep disregarding their upkeep, your home will lack the protection it needs all year round. Windows also play a significant role in your home’s energy efficiency, and broken windows result in steeper heating and cooling expenses. Thanks to Kroll Construction, homeowners looking for wood window replacement in Detroit, Michigan and the neighboring areas can get professional assistance for reducing their energy costs. They’ll also feel safer and at ease in their homes anytime of the year. A large number of homes in Michigan are over a decade old. Most still have their original wood windows that are now drafty, outdated, and damaged. Some are even festered with mold. Kroll Construction provides high-quality services like window replacement to help homeowners update their old, broken windows into new, vinyl windows. The company is also known for installing Alside windows. 1. What Are Alside Windows? The esteemed window manufacturer has certified Knoll Construction to use its products in replacing windows in the Detroit area. 2. 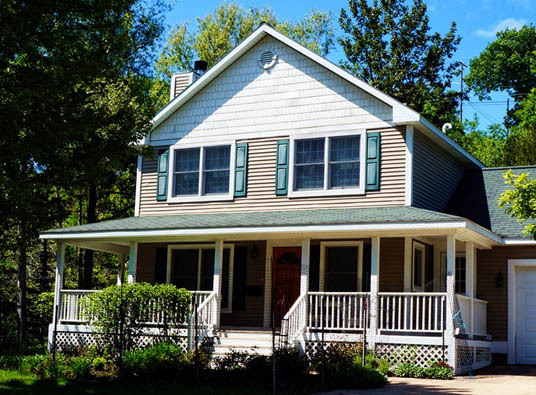 Are Alside Windows a Sound Home Investment? ● Since they are energy-efficient, they can help reduce your heating and cooling bills. ● They are practically maintenance-free, which again, saves you from spending money on expensive paints. ● They are covered with efficient warranties that can quickly add to the resell value of the house. 3. Is There Special Aftercare Once the Alside Windows Are Installed? The frames and sashes offered by Detroit, MI window replacement expert Kroll Construction are made of vinyl so you can say goodbye to yearly painting and caulking. For maintenance, an occasional wipe using a damp cloth will keep the windows looking brand new. For professional window replacement services, you can’t go wrong with Kroll Construction. Give us a call at (888) 338-6340 for a free in-home consultation and service estimates. We look forward to lending you a hand.